from John Van Gardner, now (February 2006) residing at Smyrna, Georgia. 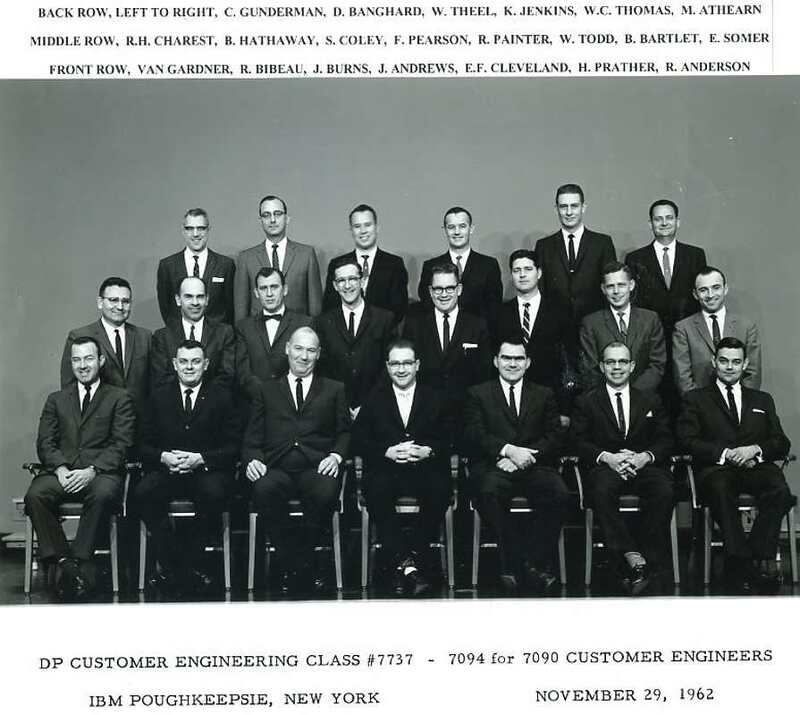 John joined IBM in 1955 after service in the Navy with Terrier missiles, web site. 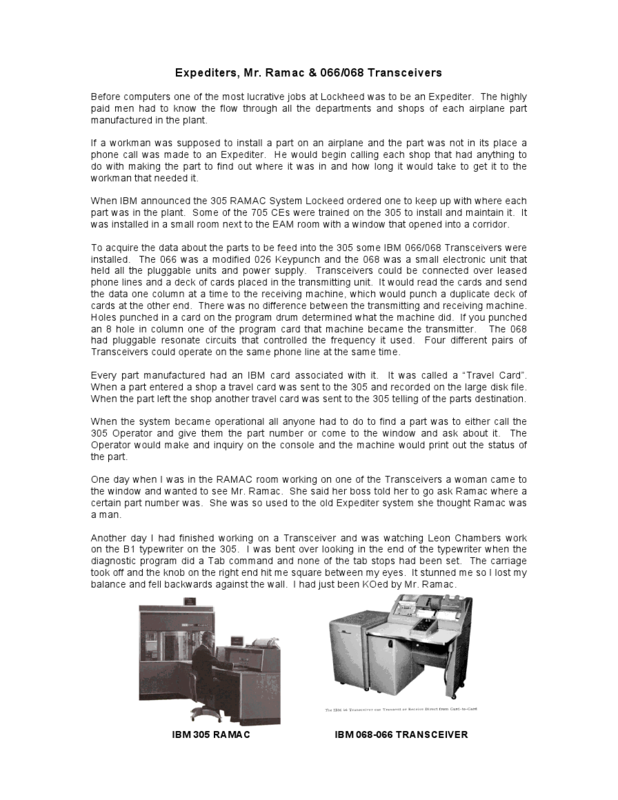 He started out fixing the IBM 704, an early IBM vacuum tube scientific computer. Jan 2007, inserted story # 27 "Armageddon...IBM Installs Usage Meters"
8 Working on the "Lectern" circuit. 10 Fortran And The Genesis Of Project Intercept. June 14, 1957 - Suggestion Award (1) M25776 $75.00 improving the circuits on the 704 to prevent failure to write correct tape mark in binary coded decimal ode and providing a diagnostic test for this circuit. July 12, 1957 Suggestion Award (2) M18336 $25.00 Improve wiring of relay 74 in the 711 card reader used on the 704. September 16, 1957 Suggestion Award (3) B02063 $25.00 including a test for a "Q" bit in the accumulator after an uncerflow in the 704 - Floating Point Diagnostic Program 4M03. 14 Other Opportunities At Lockheed. December 16, 1957 Suggestion Award (4) M39659 $30.00 for correcting the timing of the Tape Indicate Single Shot on the 727 Mod III Tape Drive. 16 When I Eat Well I Work Well! September 30, 1958 Suggestion Award (5) X12970 $25.00 A diagnostic that will show up poor recovery time of the Write Load Point Delay Single Shot in the 753 Tape Control Unit. 25 A Pox On Me. May 1, 1961 Suggestion Award (6) X72710 $25.00 Issue CEM informing the field that Engineering Change 247685 is available upon request. September 29, 1961 Suggestion Award (7) X75120 $100.00 Initial award for my part in Fortran Diagnostic 9FTR. October 31, 1962 Suggestion Award (8) D03556 $50.00 for my Process Overlap Address Sync service aid. November 29, 1962. Spent the fall in Poughkeepsie going to school on the 7094. 1963 Installed 800 bpi tape feature on 7094. February 3, 1964. Suggestion Award (9) D23606 for publishing Service Aid 253 notifying the field of a condition the 729 relay drives which can result in excessive read errors in the End Of File area. 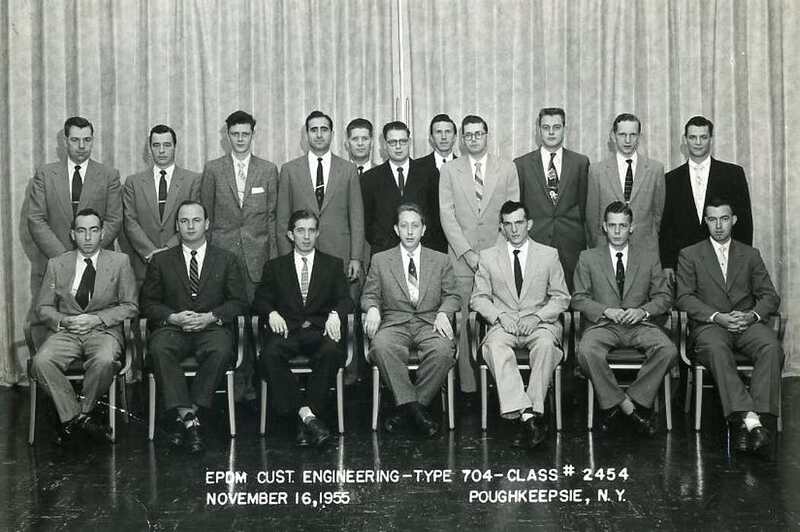 February 3, 1964 Suggestion Award X75120 Received additional $375.00 for work on Fortran Diagnostic Program 9FTR. 39 RACF or "DURA Go Home"
40 I Didn’t Know That! 43 Going Home – Or Else. 1966. I worked many 88-98 hour weeks this year due to engineering problems on System 360. Most of it unscheduled call outs. 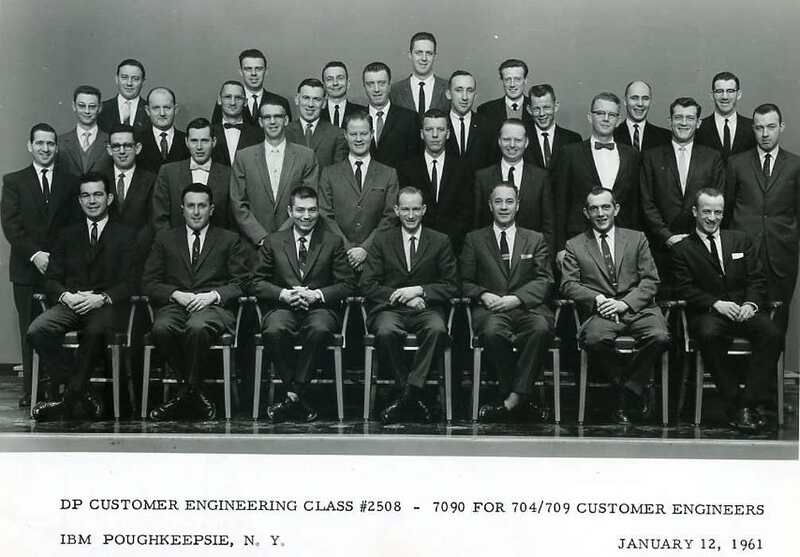 August 23, 1967 I gave a lecture to the Lockheed Data Processing Division on the general subject Read Only Storage, Microprogramming and Emulation. 50 "RAX is now in control", or maybe not. March 18. The newly installed IBM 360/50 Graphics facility and the newly created Computer Aided Structural Design Program had been united into a useful production tool. On this day, Project Engineering organizations began analysis of C-5A structures. August Excellence In Service Award (Outstanding Contribution) at the New York Hilton. 1969 June IBM Means Service Award (2) Conference in Denver, Colorado. 57 Six Weeks In Kingston, NY. Or Where Did I go Wrong? 61 Jan 1972 System 370 Model 155. 62 A Check for $2,000,000.08 ? 63 What’s a Snake Killer award? September 14-16 Assist trip to Miami. 2050 12059. September 25-30 Assist trip to Miami. Burdines 7100 NW 32nd Ave.
64 Black Box Is Verboten In Raleigh. October 23-25 Trip to Raleigh. March 28 – 31 Awards Conference Fontainebleau Hotel Miami, FL. October 1-5 School in Chicago, IL. November 26 – 30 School in Los Angeles, CA. 3803/3420 6250 bpi feature. Peele and I installed it in less than one shift and met the schedule. - Winter school in Kingston, NY on 3800 Laser Printer. March 9-12. FE Awards conference – San Francisco, Ca. nn RETIREMENT, html - Retired 31 July 1992 - 11 weeks short of 37 years with IBM. There were many interesting stories during these years [1976-1992]. Maybe some day I can add some of them to this.